The Pet has provided good sport when fishing for trout in both tumbling river and still water. It is a splendid little known all rounder that in different sizes has proved effective for Grayling, sea trout and Salmon. Hook : 8-18. Best for trout 14. Body, rear half : Silver tinsel. Body, front half : Scarlet seal's fur. The scarlet seal's fur dubbing should be picked out to mingle with the hackle. 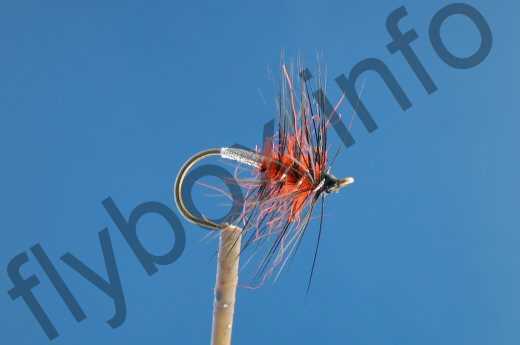 Currently there are no comments about the Pet fly pattern from other fly fishermen yet.